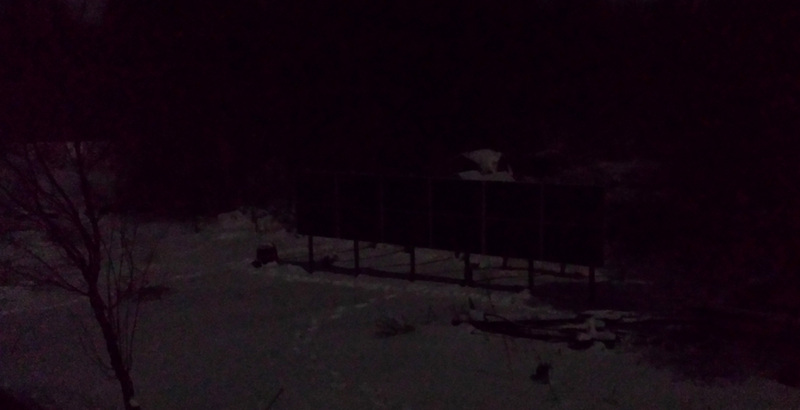 I am writing this Off Grid blog post as I kill some time, waiting for the lunar eclipse coming later this evening. Taken with a camera on tripod, this evening around 7PM, as the moon was rising. 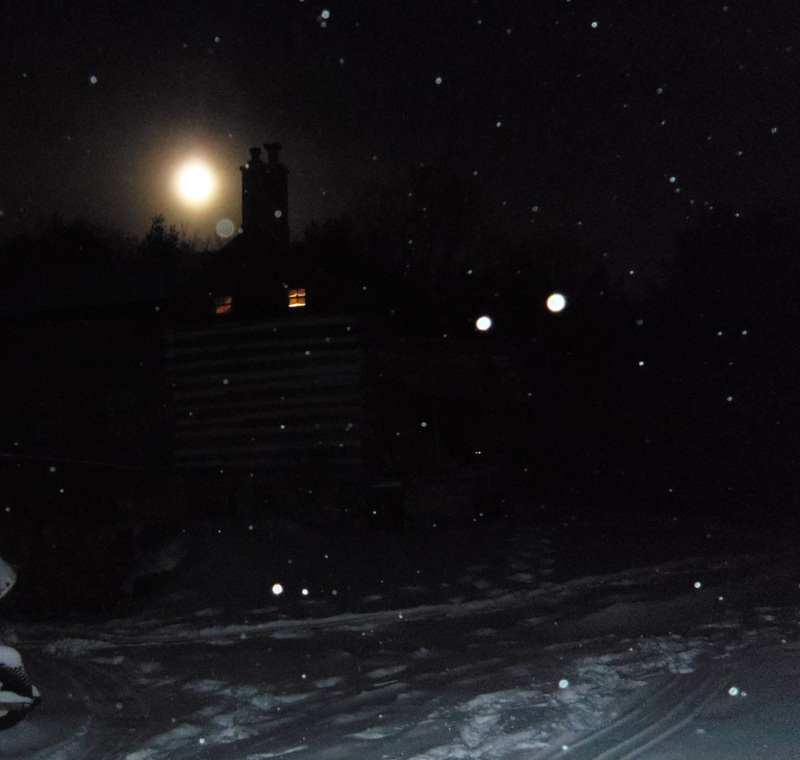 A full moon in winter is always magical here… the combination of a bright moon, dry crisp air, and snow on the ground, means distinct moon shadows and the eerie sensation of being able to easily walk or snowshoe at night without a flashlight. The outdoor world is, at once, dark yet illuminated, bright yet not light. A unique treat, especially in a forest… it feels like faeries will appear at any moment. The next full moon is February 19, and just today I got a guest booking for the 3 nights immediately preceding it, so hopefully they will enjoy some of the magic. Next after that, a very special combination of full moon and Equinox will take place March 20th… the cabin is still available for that one. With the moon higher, around 10PM, this picture (taken with a phone, unaltered) is the view looking northward from the house. Shadows can be seen at the bases of the posts supporting the solar array.